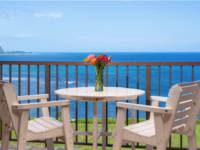 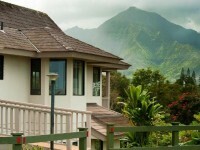 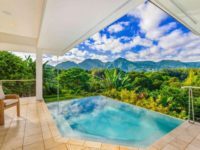 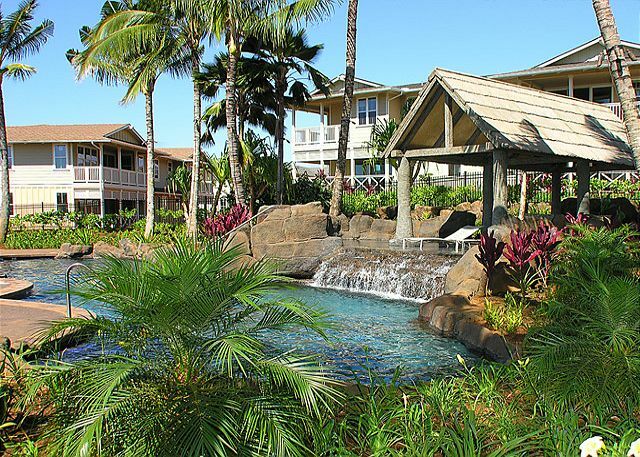 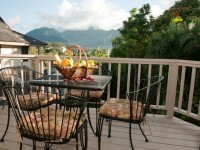 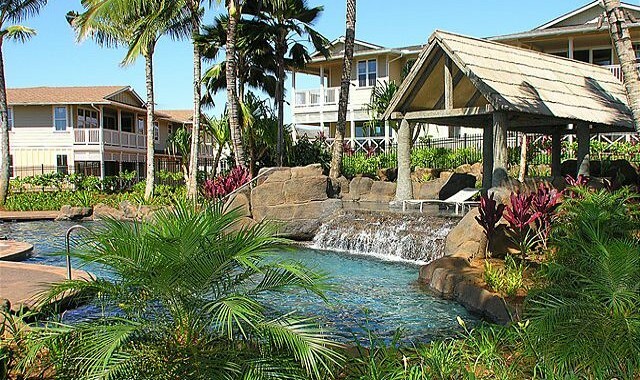 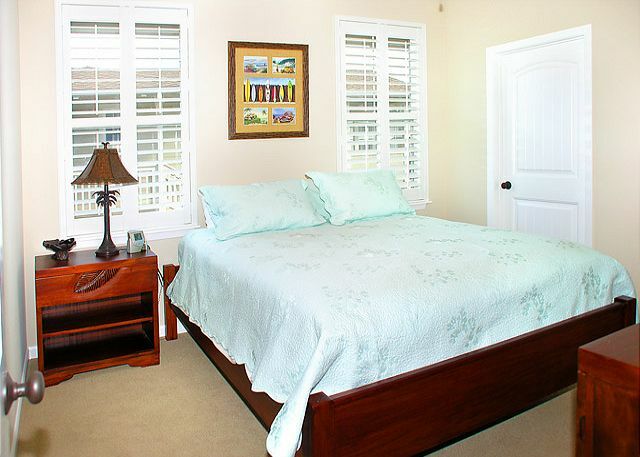 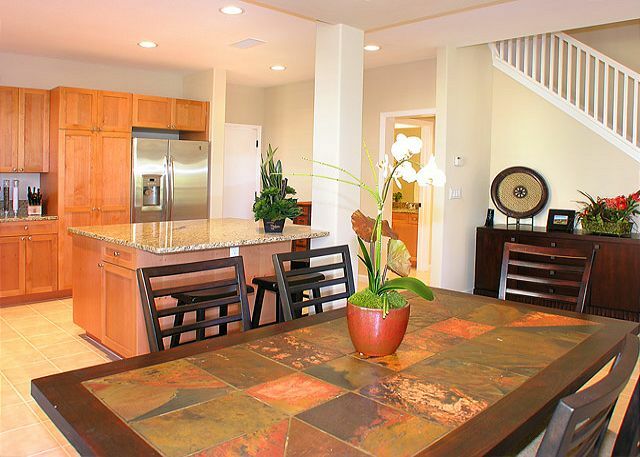 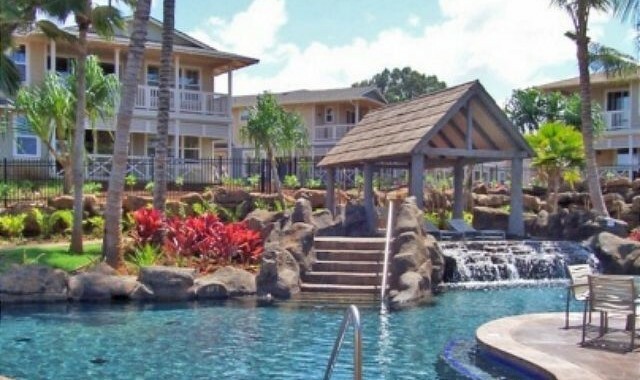 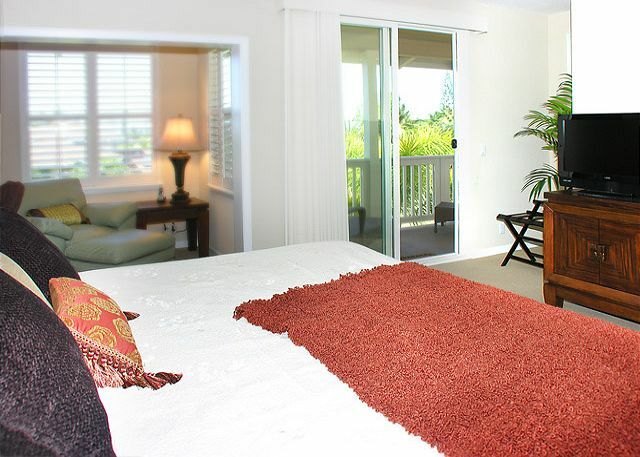 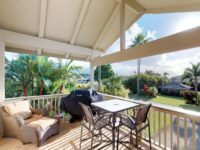 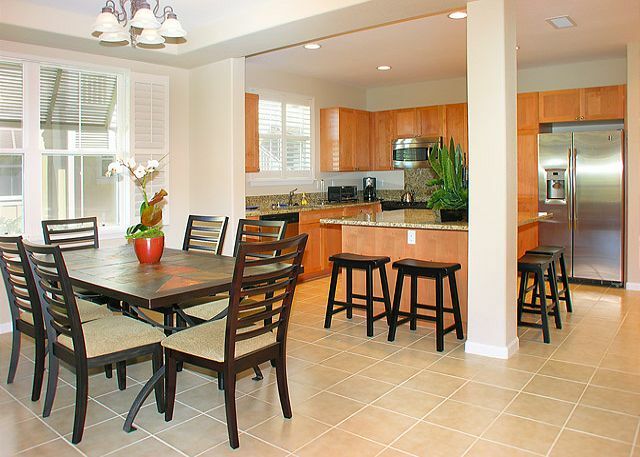 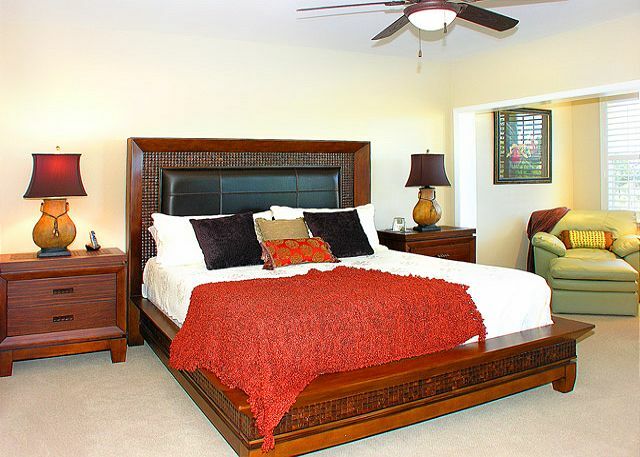 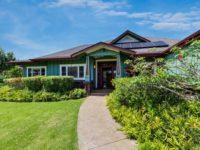 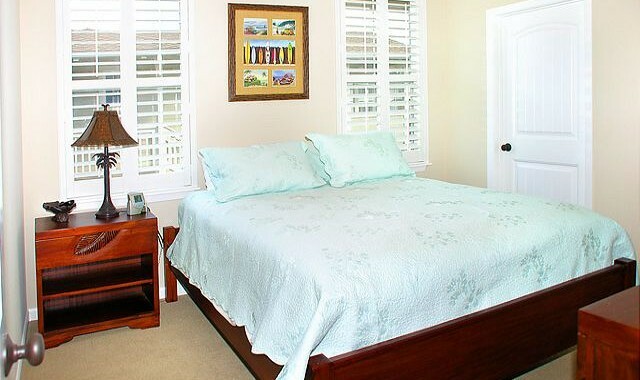 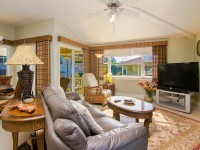 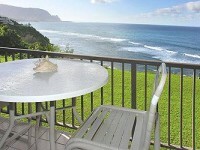 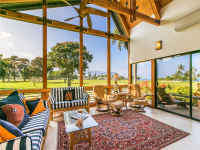 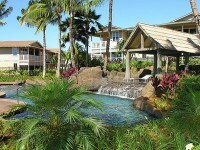 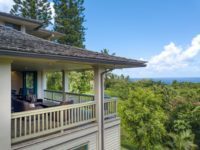 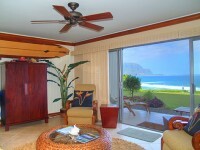 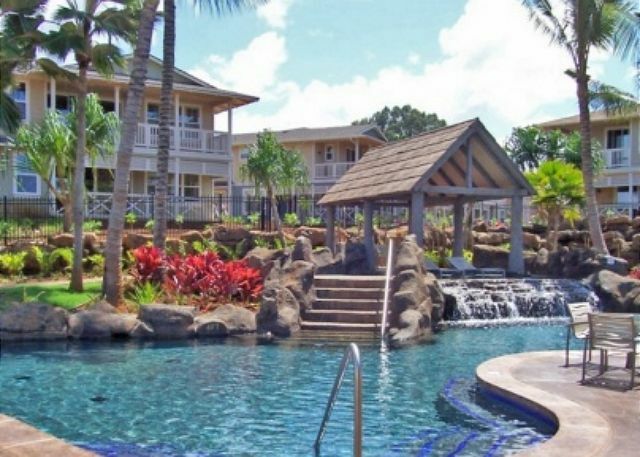 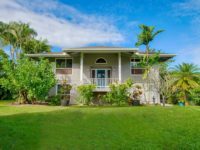 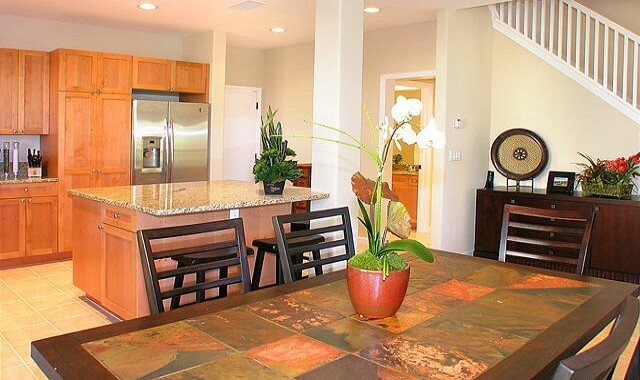 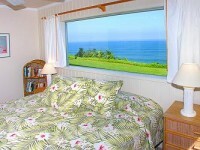 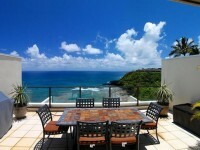 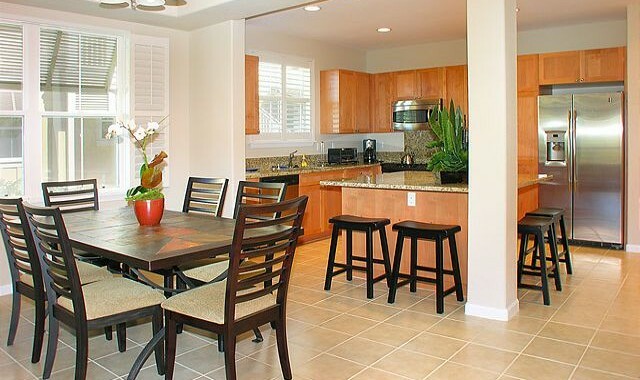 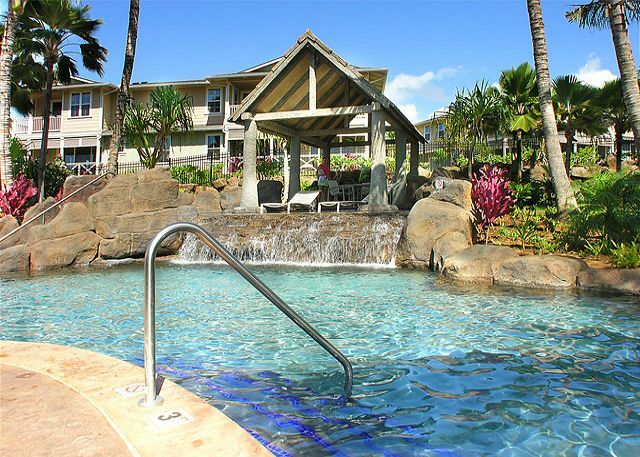 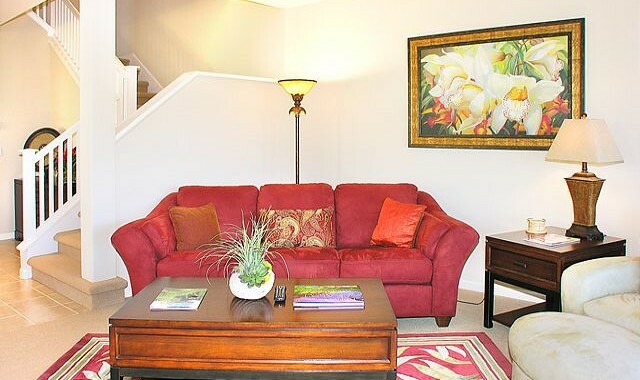 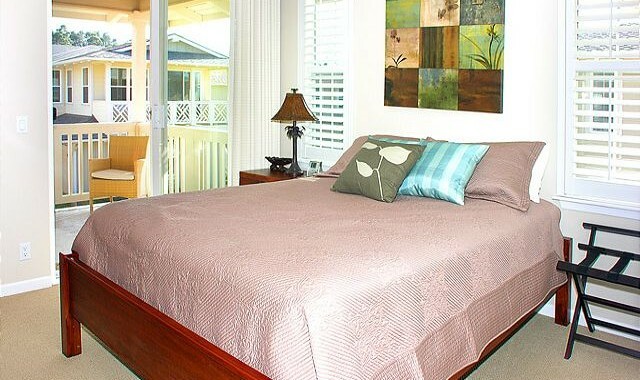 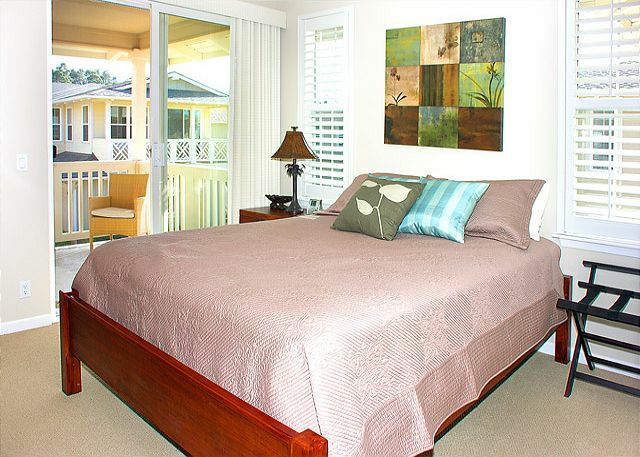 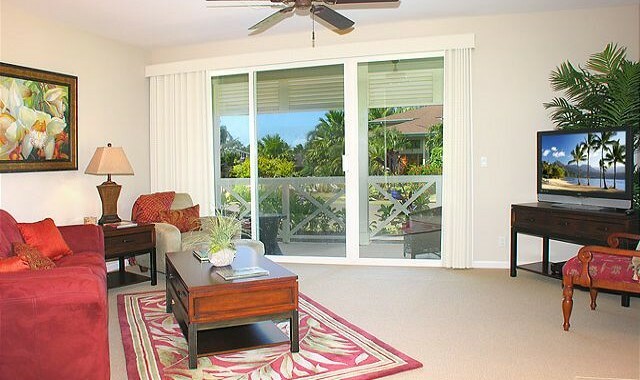 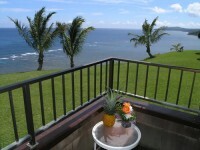 PRINCEVILLE, KAUAI VACATION RENTAL: Tropical, spacious and affordable Nihilani at Princeville, is a vacation retreat. 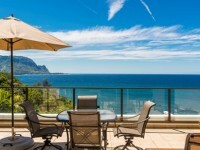 The plantation-style town home of Nihilani is located in the Princeville Resort on the North Shore of Kauai, with world-class amenities. 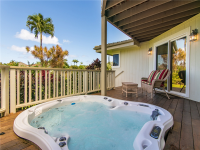 Villa #10-c is a beautiful two-story, 3-bedroom, 2-1/2 bath, 1,875 square-foot town home, with distant ocean-horizon views from the master bedroom lanai and is full of fresh ocean breeze. 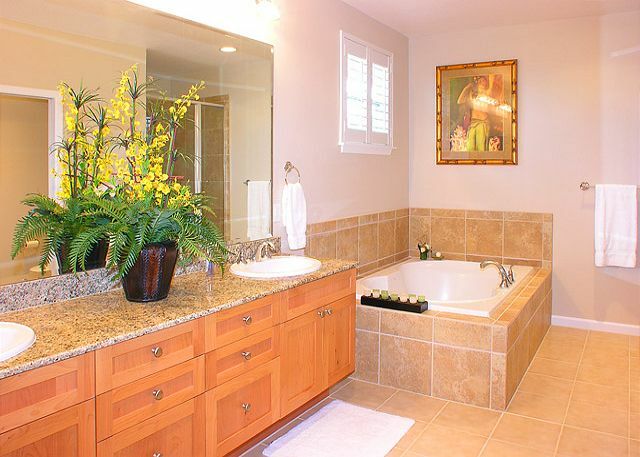 There is no one above or below you, which is very convenient with kids and provides extra privacy. 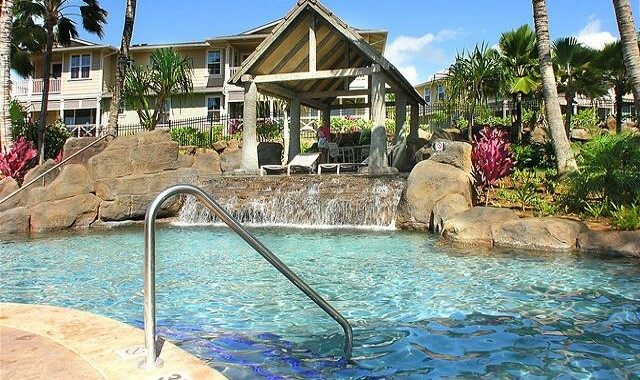 Set amidst lush, garden landscape and just steps from the resort’s tropical pool and poolside lounging area, it can be your base for all the activities Kauai has to offer, or you can spend your days relaxing, meditating or heading out for all-day adventures. 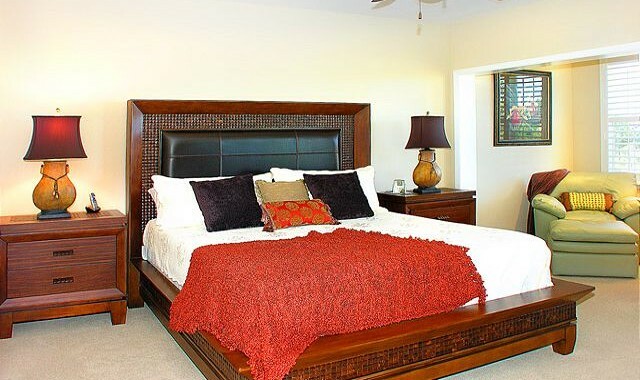 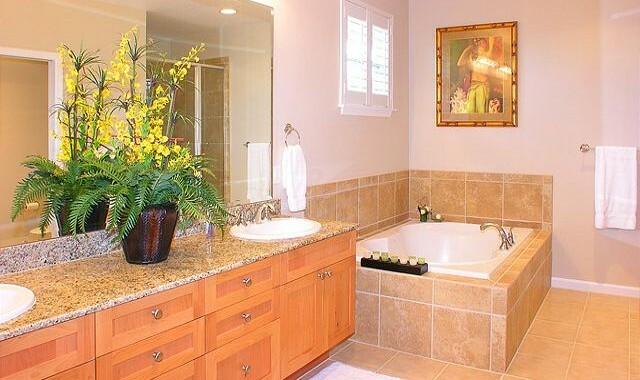 The master bedroom is your own private hide-a-way with a spacious lanai, private office space, TV, walk-in closet, en-suite bath with separate shower and soaking tub. 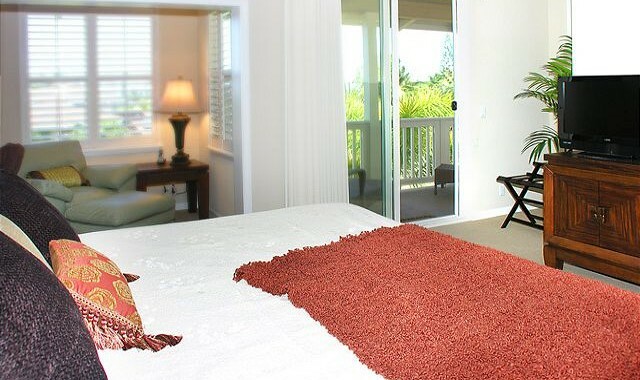 Each of the other two bedrooms is also exquisitely appointed with queen beds, Hawaiian touches and tropical views attached via a ‘Jack and Jill’ bathroom. 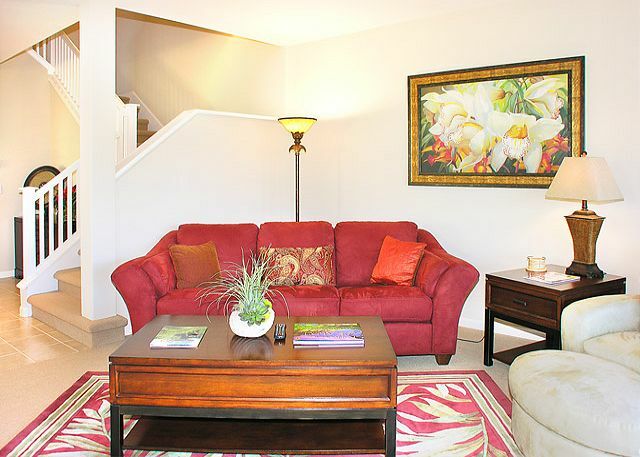 A den is available for quiet time, meditation, reading, or yoga. 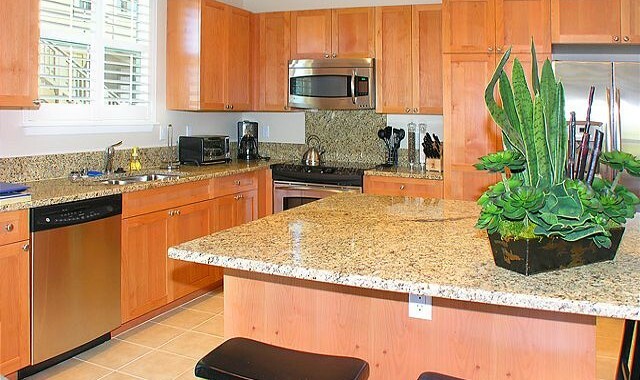 The gourmet kitchen features granite counters, eating bar, custom kitchen cabinets, and all new appliances including a full size refrigerator, stove, dishwasher, microwave, coffee machine, and coffee grinder, top of the line dinnerware and glassware. 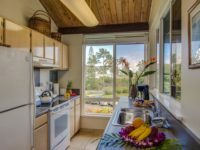 While central air-conditioning is available, it is not necessary since you will be naturally touched by ample refreshing trade winds when opening the windows and sliders. 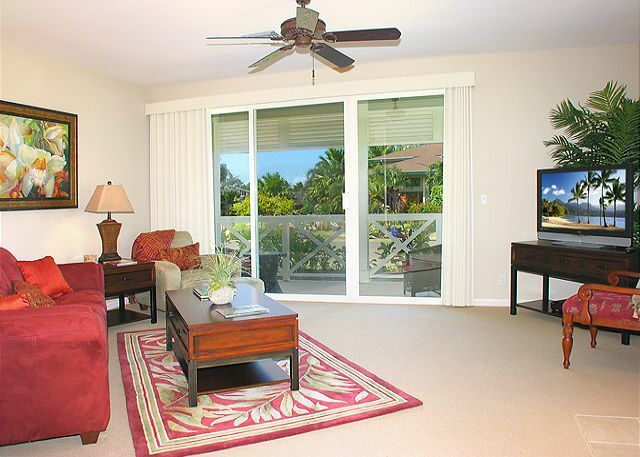 The ceiling fans throughout the house usually eliminate the need for A/C when you combine them with the daily tropical breeze. 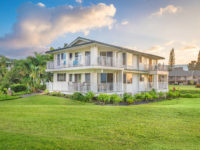 The use of ceiling fans instead of central air-conditioning has become more common and popular throughout Kauai, and energy conservation is truly appreciated by everyone. 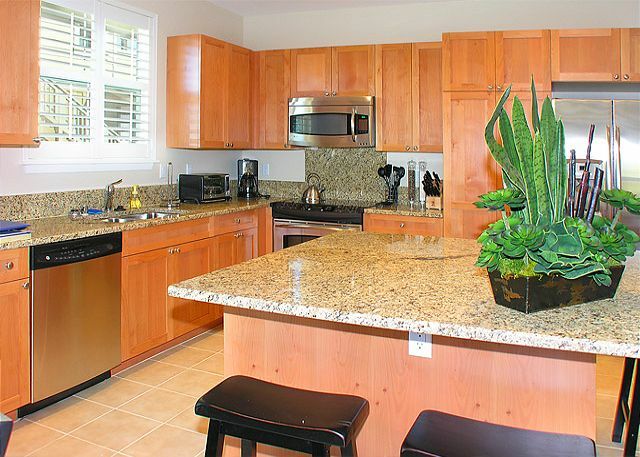 There is a two car garage and an in-unit washer and dryer. 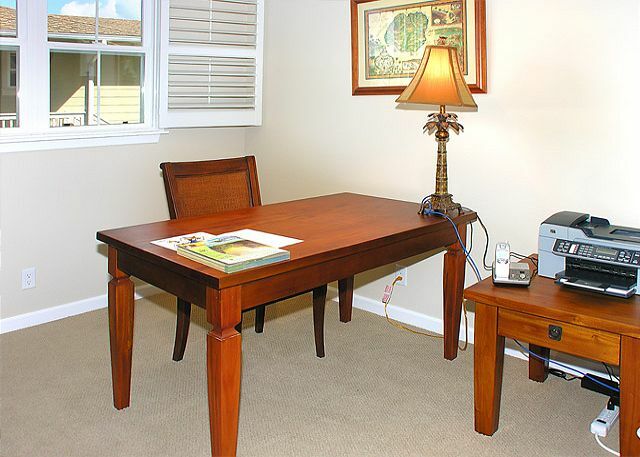 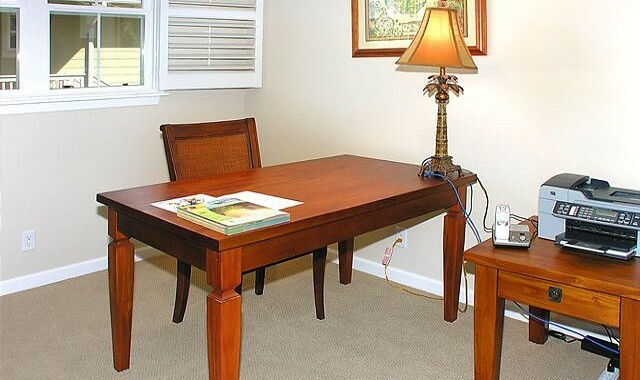 All furnishings and decor are of the highest quality. 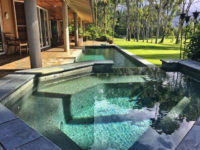 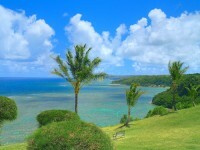 Within walking distance is a world-class golf course, beautiful tennis courts and some of the most romantic beaches: Anini beach, Secret beach, Hanalei bay, hideaway’s Beach and Queen’s Bath (a unique ancient Hawaiian retreat on the North Shore). 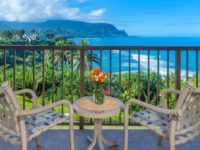 Within a minutes’ drive, you have access to over 23 North Shore beaches, and coves tucked into Princeville’s cliffs, you can also enjoy the breathtaking views of Hanalei Bay and Bali Hai. 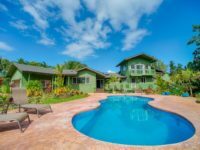 Quaint Hanalei Town – bordering awesome Hanalei Bay – is a short 10-minute drive away, offering shopping and a variety of eateries, from small, home-town cafes to elegant dining. 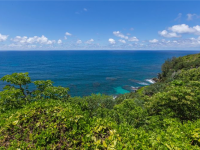 The Kilauea Point Lighthouse, built in 1913 was a navigational aid for commercial shipping between Hawai‘i and the Orient, stands as a monument to Hawai‘i’s colorful past. 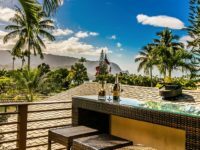 Princeville is a golfer’s paradise, featuring 36 holes in two world-class championship courses–the Prince Golf Course and the Makai Golf Course–both of which have consistently been ranked among the best in the country.